"Want to think about "Testability"? Make it "T9Y" (tiny)!" Yes, I realize that #t9y is already associated with "Terminology" but I'm still going to suggest we testers make this a thing ;). 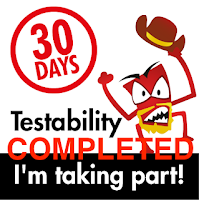 All right with that little piece of silliness out of the way, let's see what "30 Days of Testability" goodness we have on tap this go around. 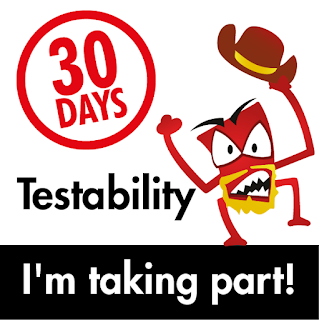 Watch the Testability Ask Me Anything on the Dojo. Post any additional questions on The Club. First of all, props to Ash Winter for being available to ask questions and thanks to Vernon Richards for hosting the event. A lot of ground covered and impossible to give just a basic rundown here (seriously, go listen). There are a fair amount of areas that are worthwhile to look at when considering testability. Risk assessment, the "hookiness" of an application, the variety of ways to access information, the usability of an application and ways to recognize the "smells" associated with each of those areas were all covered in detail and enjoyably so. 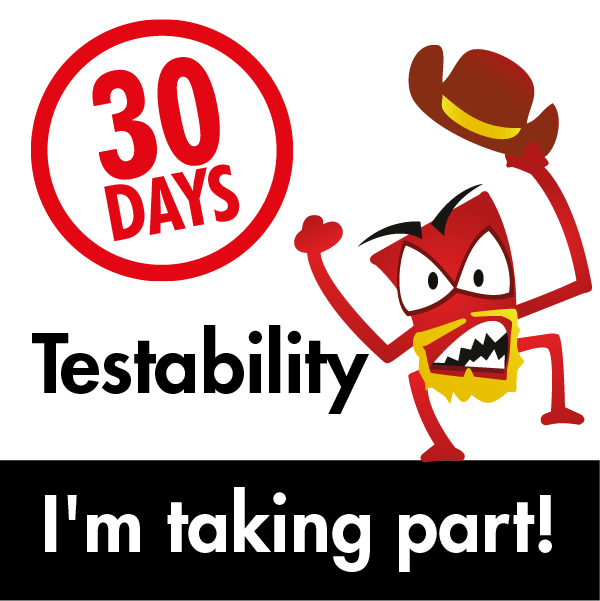 How would you prioritize Testability? 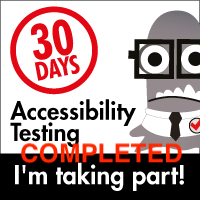 I think I will come back and look at these at the end of this 30 Days challenge and see if I have developed answers for them :).